Our new web forum is open to members and non-members alike. Its purpose is to facilitate contact and debate between persons worldwide interested in the husbandry, breeding and conservation of Chelonians. On the forum you will find hundreds of fellow enthusiasts and keepers, from professional to beginner, including private keepers, zoo staff, veterinarians, wildlife rehabilitators and educators - all ready and able to answer your questions! 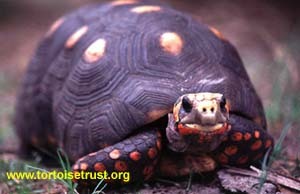 It is the best resource there is for a fast answer to whatever tortoise or turtle problems you may have. IN ADDITION WE HAVE A NEW E-NEWSLETTER AVAILABLE. THIS IS SEPARATE FROM THE DISCUSSION LIST. We have used Online Institute to host the Tortoise Trust website for many years and highly recommend their reliable, friendly and efficient service!